Problem focused office visits are often necessary to treat a variety of eye ailments including infections, abrasions, contact lens related red eyes, allergies, dry eye disease, floaters, glaucoma, detection of retinal tears and detachments, and traumatic ocular events. 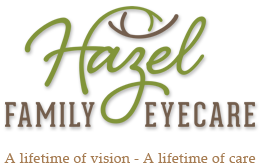 Dr. Fowler is a residency trained optometrist that specialized in ocular disease and has deep knowledge and resources to thoroughly care for your eye conditions. We will try our best to see patients with ocular emergencies and problems on a same day or next day basis. Dr. Fowler is available by phone after office hours for emergencies as well. What is the difference between Comprehensive Eye Examinations and Medical Eye Exams? Our comprehensive eye examination includes not only the determination of your visual status, but also a detailed look at the health of your eyes. Your eyes will be examined for any needed correction (glasses or contact lenses) or any potential indicators of eye disease. This is a medically necessary comprehensive examination for the diagnosis and treatment of diseases and conditions of the eye performed by a physician/surgeon. Some conditions evaluated with medical eye exams include cataracts, glaucoma, diabetic retinopathy, macular degeneration and many other potentially sight-threatening diseases.